If there is a coarse fishing venue in Gloucestershire that you would like to see featured on Fish South West or if you would like to add a review of a coarse fishing venue, please send details via the contact page by clicking the email link below. Coarse Fishing Venues in Gloucestershire !! Hillview Lakes offers coarse fishing on a total of five acres of water on an eight acre site. The two coarse fishing lakes and four coarse fishing canals are set in attractive countryside with an abundance of wildlife. 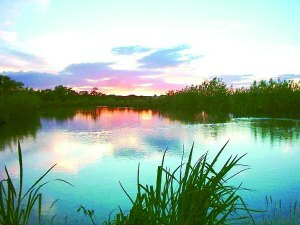 Lemington Lakes are a nicely maturing coarse fishery with five lakes offering a variety of sport for most anglers. Conveniently located just 2 miles from the beautiful market town of Moreton-in-Marshset and set in 75 acres of outstanding Cotswold countryside. The Watermark Specimen Fisheries in Gloucestershire offer a diverse range of angling experiences specialising in Trout and Carp fishing. From the inland sea that is the famous Bradley's Fishery with carp to 40lb+ to the intimate Specimen lake of four and a half acres with it's large head of carp. Traditional oak-beamed country freehouse pub with real ales and guest beers, a separate restaurant, a 10-acre wooded site with some of the best carp and tench fishing for miles around - Watersmeet Hotel and Angling Centre at Hartpury in the heart of Gloucestershire. Whelford Pools is a family run day ticket water, situated in the South Cotswolds between the ancient Roman town of Cirencester and Lechlade on Thames, close to Swindon and the M4. Set in a beautiful picturesque location it is home to a wealth of. Wildmoor Waters is a privately run, specimen carp and coarse fishery with carp to over 30lb and provides the perfect venue for quality fishing. South Cerney is set in the heart of the Cotswolds.